Have you tried that crazy wrap thing? Over the past six months or so I have seen a lot of people advertising and trying wraps by It Works! They can be used on any part of the body and you can use inches if done right. I finally decided to give them a go last week and got one from a friend (link below) who is an ambassador for them selling their products. Given the directions it was pretty easy to use. The first time round it is advised to only leave the wrap on for about 45 minutes. This I suppose it to avoid any possible negative reactions although I experienced none. I left it on about 10 minutes longer because I lost track of time. The wrap itself was not an unpleasant experience there was gel on it and it was quite big so was perfect to cover the stomach area. I guess it could be cut if you wanted to split it into pieces for smaller areas. It was covered in gel which smelled quite nice. I was warned to expect a tingly feeling that others experienced but instead of found my stomach feeling very very cold but upon googling this is apparently very normal too. The drinking process had to be continued over the next 72 hours but got easier. So what were the results over the 72 hours? Well I definitely felt a difference and no it wasn’t a pseudo effect because upon trying on a previously tight around the stomach area dress I had been avoiding I could see the difference so there was no denying that it must have worked. In terms of loss I didn’t loose inches but can imagine if I had more to loose there would be more visible results. There is no limit to the amount of wraps you do and you can leave them on longer after the first time and obviously the results will get better. So all in all yes I would recommend them however would have to say they are not an easy fix for coach potatoes. They should be combined with exercise and a healthy diet if you want to see the real affects. Last week I spent 5 days at the Apple Distinguished Educators event in Cork Ireland. Apple Distinguished Educators (ADEs) are part of a global community of education leaders recognised for doing amazing things with Apple technology in and out of the classroom and this time I was lucky to become part of this community. Apple only accepts applications every other year so I was more than happy to be accepted first time round. This wasn’t my first institute as last year I was lucky enough to be part of a team filming their Global Institute but this time was a much different and even more exciting experience. 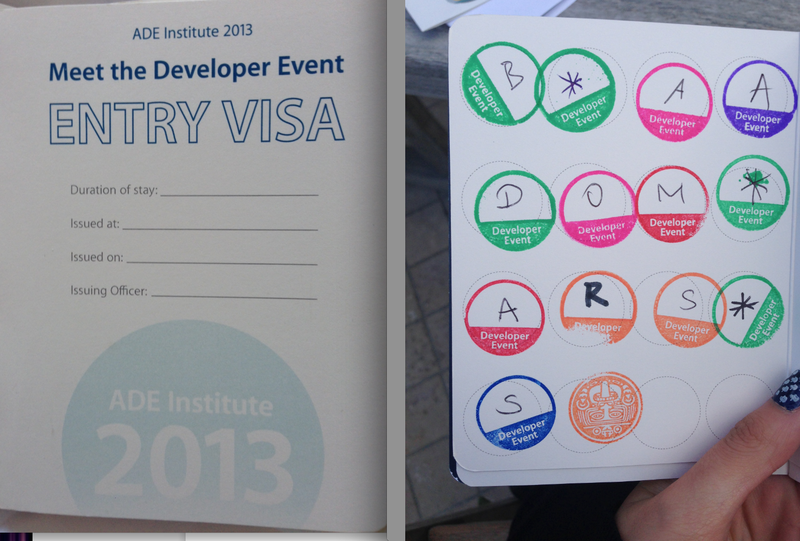 Arriving on Sunday I quickly checked in and got my name badge and the famous ADE passport. 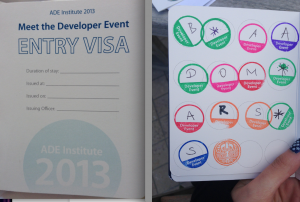 ADE passports are used to collect stickers of those attending the event. The idea is to socialise with someone then exchange stickers. This was a great conversation starter and also quite a challenge as there were a few ‘rare’ stickers to find including a mysterious green sticker and finding the sticker from the one and only ADE from Turkey. I was also set a challenge when I met two guys called Nick and after placing their stickers side by side I was put on an mission to find a third guy called Nick. I was lucky he found me first! By the end of the event I had collected 133 stickers, I didn’t manage to get everyones but am happy with my achievement. Due to living close to the institute venue I offered advise on weather and clothing. Soon after checkin I had my photo taken by Pulitzer Prize winning Photographer Bill Frakes (http://www.billfrakes.com/) I can use the picture for future events and social media platforms. I later attending workshops where we received advice and info on taking great pictures. While having studied photography as part of my degree I did know some of this info I still learnt a lot and am already taking better pictures and was also recommended great Apps including Snapseed. Other guest speakers included Nancy Duarte (http://www.duarte.com) who spoke about design and presentation. I found this to be a very valuable discussion and as a result even changed around a presentation I would be making later that day. 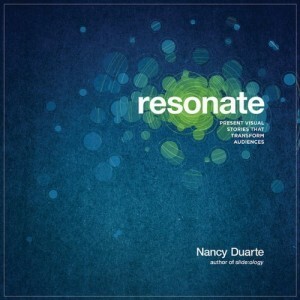 My task over the next few days will be to read her book Resonate. One of the highlights of the institute was meeting and taking part in workshops by Improv speaker Rebecca Stockley (http://improvlady.com) Improv was never something I enjoyed and was usually something I avoided but I put that down to having terrible improv tutors in the past which usually result in people feeling stupid. It is amazing how this can be off putting but Rebecca Stockley totally changed my attitude and outlook on improv and it will be something I will definitely use in the classroom I just hope I can be as good at it. My favorite this was something she called The Failure Bow. When you mess up don’t be ashamed just raise your hands and go woohoo! I am so lucky I have not had work this week because I have been taking the failure bow multiple times a day it keeps my cats amused! Another great feature of the week was the presence of The Lennon Bus (http://www.lennonbus.org/) watching how they engage students in creating music was incredible. 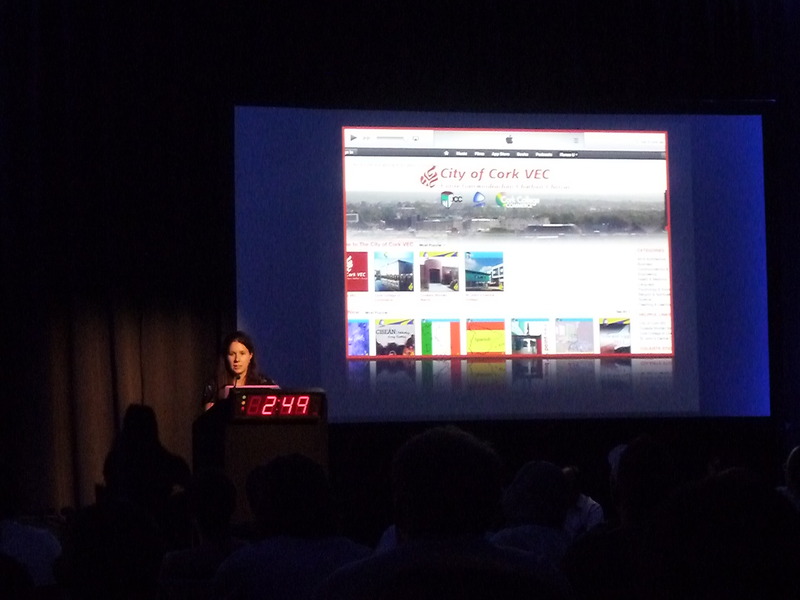 My only regret is that they visited Cork in the summer as I am sure some of our students would have loved it. The most valuable experience of the week however was forming planning groups through which we now have contacts to work with and create projects with in the future. In my group the ADE’s I worked with were from India, Italy, UK, Sweden, US and Germany. We all have very different experiences and learnt a lot from eachother. I look forward to working with them again. As well as being part of this group I also worked with my fellow Irish ADE’s in planning what we will do as a group within Ireland. 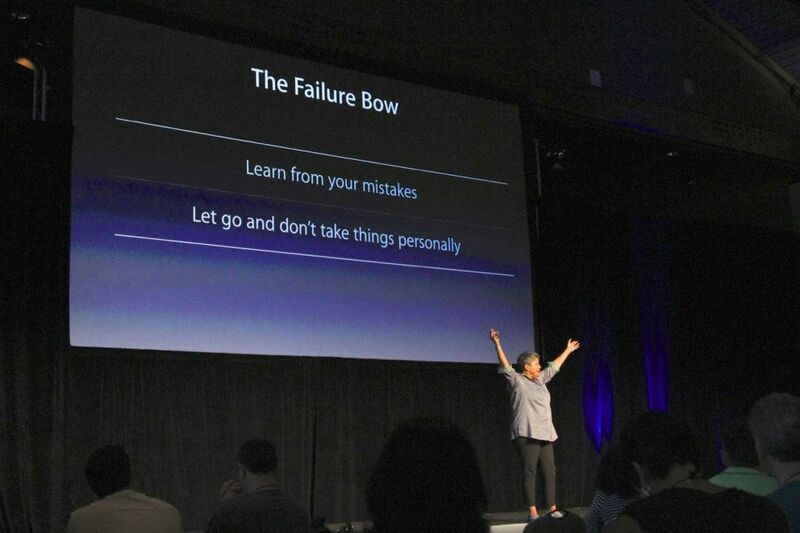 Personally I felt I learnt a lot from the week. I was never one for improv and found brainstorming to be a waste of time but spent a lot of time on both and plan on using both in my classroom. Brainstorming can be pretty and I like pretty things. 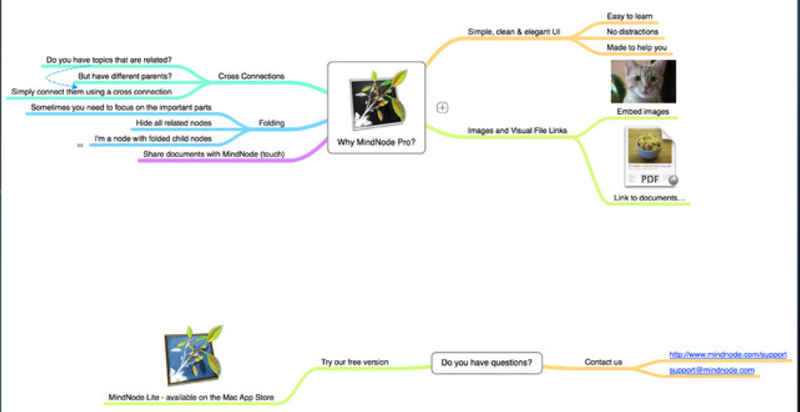 I also found a very cool App called Mind Note that really helped me gather my thoughts when I was planning my projects. My head was a mess so now I have a wonderful colorful mess of a diagram. Imagine that such a colorful creation was splashed across my brain no wonder I was confused! It has taken me a few days to reflect and write this and to think of how different an experience it was to my classroom. I am used to being in a situation where all my work colleagues are a lot older. Many have no clue about or even have any interest in learning about digital technologies so conversations are wasted. Those that do are often pre-occupied with grading, budget cuts and getting students taught. This week has however showed me that we can teach more effectively using technology and devices. Education can be accessible and can be interesting we just need to take the time and have the interest in moving forward ourselves before we can bring our students on that same exciting journey. Overall the week was a valuable experience during which I learnt more than I did during any other teacher training event. This could not have happened without all the participants and most definitely could not have worked without Apple. I now leave with ideas for exciting new projects and look forward to attending future institutes and am proud to be part of Class of 2013. Using Digital Media in the classroom. I have been using Digital Media in the classroom since I began teaching but have found myself often limited by time/ FETAC module requirements and resources. However, the past two summers I have been lucky to teach a digital bootcamp. 20 iMacs + 20 students = 70 hours of fun spread across four weeks. When calling up students the first few questions I am asked always include ‘are there any exams’ and I am lucky that this subject is 100% practical so the students get graded on the work they do in class. The one challenge I still face is resources but not so much college resources as they always provide everything I could possibly need for my class (within reason!) but more the fact that I want my students to be able to go away after the 4 weeks and practice at home. The course I teach involves web-design, social media, digital marketing, photo-editing and video-editing. While traditionally I would have used software such as photoshop and final cut I always felt that these were inaccessible to students after mainly due to cost so this year I am using both of these but also offering alternatives. I have tried out a few free web-based apps throughout the year which have aided my teaching. So here are the various things I will be using during the next four weeks and at the end of each week I will run through reviews of what we are using so here is the line up of what you can expect. 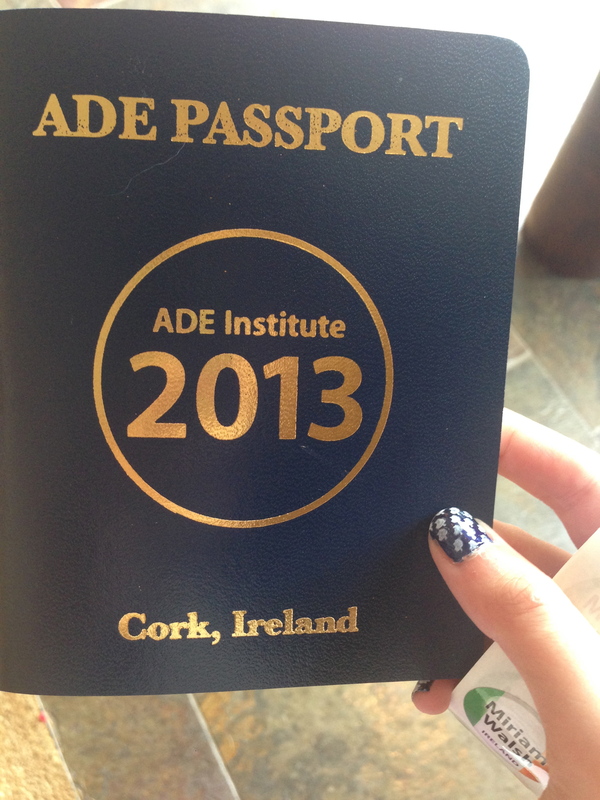 In March this year year I became an ADE. So what is an ADE? This is probably the question I was asked about three million times during my application and after my acceptance into the program. 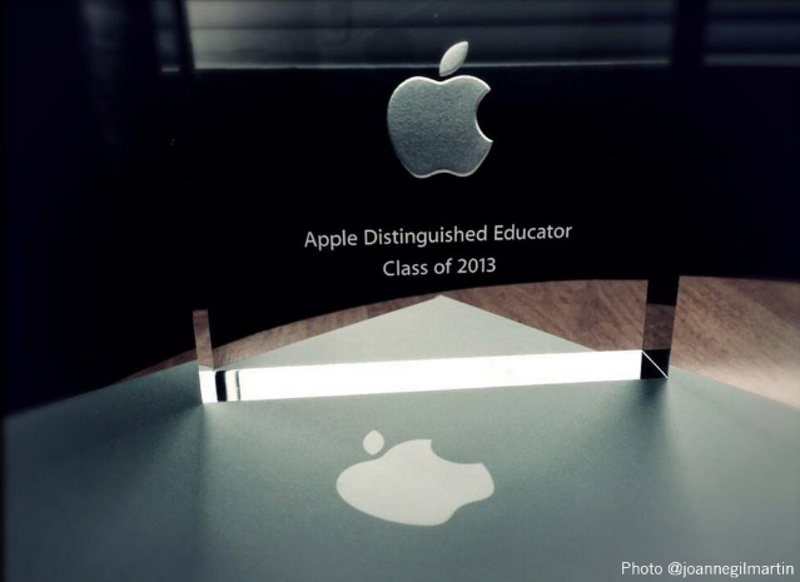 The Apple Distinguished Educator Program is made up of just over 2000 educators from around the world. Every 2 years Apple takes applications for the role and a select group of people are chosen. This year 150 applicants were chosen from my region which is Europe, Asia and UAE. After acceptance you can attend conferences and have the support and experience of other ADE’s who are there to help. ADEs are passionate advocates of the potential of Apple technologies and they provide expert assistance and best practices to educators and policy makers. ADEs are frequent presenters at local, state, national and international educational conferences. ADEs provide valuable input to Apple on the realities of integrating instructional technology into learning environments. ADEs publish authentic work to share with peers such as teaching and leadership best practices, exemplary lesson ideas, and a range of content items that showcase Apple products and technologies for the advancement of education. ADEs are innovators in building community and capacity for teaching and learning in a global context. Through online projects and collaboration tools, they empower each other to expand the walls of the classroom and bring global experiences to classrooms everywhere. So how did I become an ADE? Well roll back a few years and I came across openings for ADE’s on Apples website I thought how cool that would be but at that stage I wasn’t an educator nor did I have any intention of being one. Of course that all changed and during my first year of teaching my college was approached by Apple who wanted us to film their Global Conference which was to be held near by. Being part of the iTunes U team I was asked if I wanted to get involved and my answer was a gigantic yes! The conference last summer was incredible I was surrounded by amazing educators and although was busy filming I was lucky to chat to a few while I was wowed by the whole conference and felt lucky to be there I really wanted to be an ADE instead of part of the film crew. It was suggested during the event that I applied for the Class of 2013 and I made that my goal. I waited and waited until applications opened in November and then worked on my application. Apple did not make this application easy and required a written statement and video application they also offered a chance to submit iBooks, iTunes U courses and collections so I went the full way and did it all. Application submitted I waited anxiously. I felt that even if I didn’t get in I had learnt a lot by writing my iBook and making the course and video. I had talked to previous ADE’s who said that last time notifications of acceptance were sent within two weeks but two weeks passed then three and four and then it became months. There were many sleepless nights but the wait in itself was quite amazing as I met up with other applicants and we all willed each other to be accepted while fearing that if our friends did we may not. In February the US region found out who got picked and that night there was a lot of excitement on twitter but also a lot of tears as many we were convinced were in did not make the cut. So a few days later the email came notifying us that our region would not find out for another few weeks and they said end of March. I was to be visiting friends at the end of March and was scared of not getting it but on 30 March I got that wonderful email and I was in. Seeing who I was up against I was sure it wouldn’t be me after all I had only been teaching two years but I was so excited I didn’t stop smiling for weeks. Since then I have worked away and created some more iTunes U content but overall have fallen into the annual world of FETAC exams and paperwork and corrections. 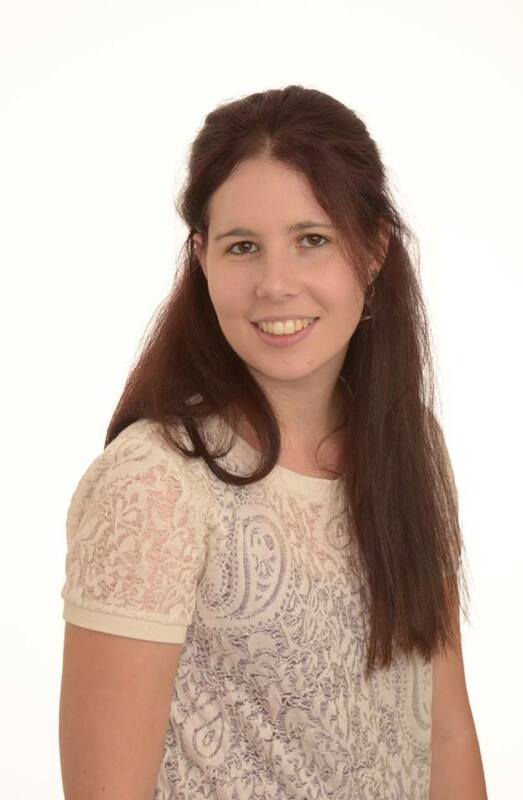 I am not finished teaching until a few days before the conference in July but I am looking forward to it and all the new ideas that I get if last year is anything to go by it will be fantastic and unforgettable and I will hopefully gain many exciting skills and ideas to bring to my classroom in September. At this time I won’t be part of the film crew I will be an ADE!!! Ok it has been a while since my last review but a lot has happened including preparing classes for end of year assessments and all the related duties but the App reviews will be back for the summer. I also have a new website in the works and it will be coming very soon! Before I get to that I was lucky to get my hands on a copy of iOS 7 so going to review this first. So after the super long download due to my terrible internet connecting I finally got my copy of iOS 7 installed at 23.47 yesterday so what have the first 24 hours been like. In short I love it. The design is simpliest but beautiful it is so much cleaner than the previous iOS and runs smoothly on my iPhone 5. A bit of a summary on the features to begin with the lock screen is different and you no longer have the clunky swipe to unlock button it is almost invisible and I really like this. The clock on the lock screen is also larger which is great when checking the time out and about. From the lock screen you swipe from the top down to access the date, calendar info and weather info as well as notifications. Similar to before but great. Now here is my all round favorite feature if you swipe from the bottom up you gain access to shortcuts which before required a trip to general settings. Now you can access airplane mode, do not disturb, lock screen, volume, brightness, calculator, clock and camera with just one swipe. This saves a massive amount of time and is the reason I love iOS 7 and lets not forget you can also get a flash light a feature which before required a 3rd party App. You also have access to airplay and there is a feature called airdrop which I have yet to try out but looks like you can share content with your contacts. iMessage works pretty much the same the colors are changed but nothing major which is good because it is my most used feature. Notes is also great again no major change but the interface is cleaner and easier to read than the traditional yellow notes paper. While Weather App works the same but the icons changed a little what is really cool though is how visual it is showing animated raindrops and clouds. It also gives a little summary in text on the lock screen for example “Fog currently, It’s 12, the high will be 15″. Both Music and Photo Apps have received big visual changes also the traditional cover flow in music is gone and instead you see scrollable images a much nicer and easier way to browse music. Photos has the same visuals with the extras of being able to organise photos by location and date. The Photos App also stores videos in a separate folder which I like as I can access them easier again continuing on the overall theme of accessibility this iOS brings. Camera has received some of what I would consider big changes as the Camera has pretty much always been the same as well as having the latest addition of panoramic images you can now select square images. There is also an option to add color filters as you are taking the photos these include noir, instant, transfer, tonal, fade, process and mono. I usually prefer to add filters after but have found these to work really well. Safari has probably received the biggest overall right now I admit I am still adapting to it as it is very different but it has cool features include homepage tabs and a cover flow style view of open pages. I can see where they are going with this but I haven’t quite adjusted so trying to decide whether I like this or not. There are many more features but these are my most notable few. So how did my device adapt to iOS 7? Well the transition from download to install went smoothly. When I installed it took a while to gather my photos etc I have heard comments on peoples devices running slow and yes mine did but I decided that since it was then past midnight to sleep and once rested this morning my device was much faster. My main concern was battery life and my iPhone 5 has a terrible battery as it was and my fears were near confirmed my battery went from 100% to 76% in under an hour of minor use which just included checking facebook, surfing a few sites and finding my way around the phone. No music was played or phone calls taken etc. A few hours later after a few emails and just one call my phone was dead but after charging it a second time it is holding it’s battery much longer and after 5 hours is only down to 84% I think this may time to improve but so far so good. There are bugs that come with the iPhone but I have to stress that this is a pre-public release BETA so they will likely be fixed before public release. The main issues I have found is commands not working for example I was unable to select the delete button in alarms or post button in Facebook App was both icons were present tapping the screen produced no results. I also discovered the same with adding locations in Weather App. Overall I am very impressed and while for a short period my reaction was ‘oh no what did I do’ I now couldn’t be convinced to switch back to iOS 6 and look forward to the OS becoming more stable as it is developed. iOS 7 is currently only available for developers but should be publicly released later this year.